Last time, I emphasised on the need for “Godly Friends”. Anyway, I got curious about friendships even more. So I decided to search the scriptures even more- I wanted specific examples and stories of good and bad friendships in the Bible. 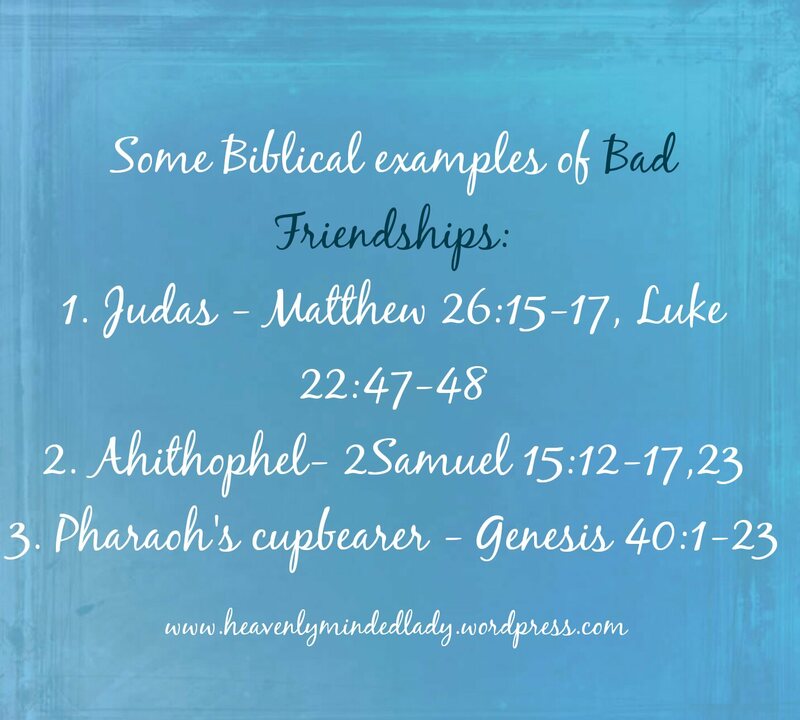 Interestingly, the Bible is jumbled with friendship stories- the good, the bad and the ugly. I love the Bible. 2.) Ahithophel: Another example of a fake friend. He was David’s “trusted” counselor and friend (Psalm 41:9) who not only fed the king with lousy advice and ultimately wanted to overthrow the kingdom (2 Samuel 15:10-17,23). 3.) Pharaoh’s cupbearer: Remember him? Joseph met him in jail. They became friends, Joseph interpreted his dream. He made a promise to Joseph that he would remember him when he got out of jail but he forgot Joseph (Genesis 40:1-23). I will do a follow up post on good Biblical friendships worthy of emulation.